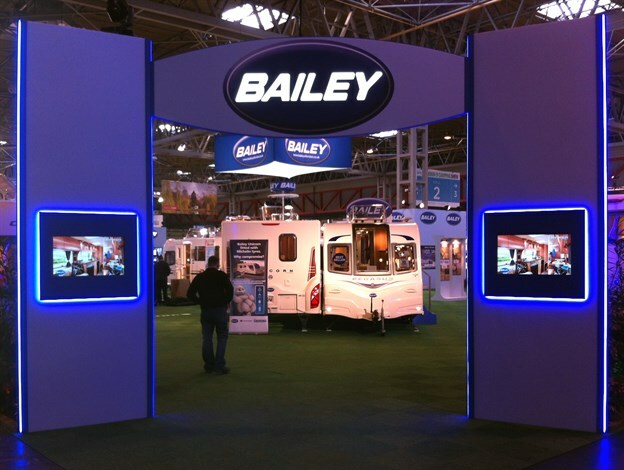 Bailey Caravans required an attention seeking form for their stand at the Spring Caravan & Camping Show. 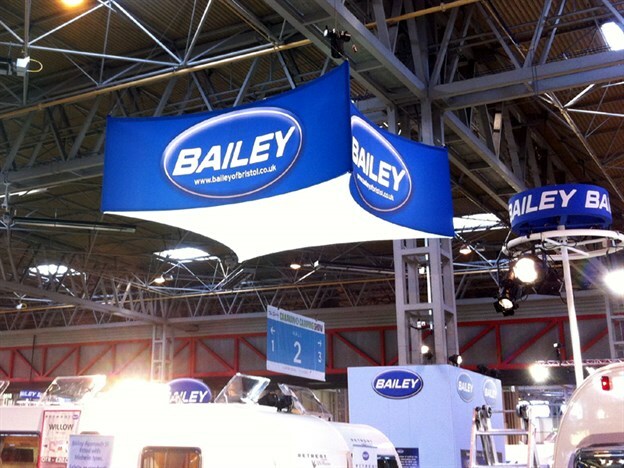 We created a 4 metre square curved overhead sign with branding. 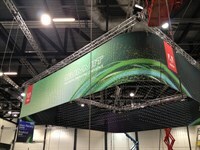 The stand was also illuminated from below by Fulcrum. 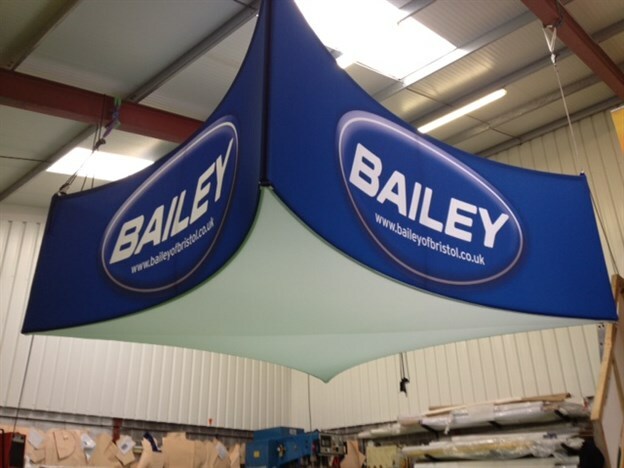 The structure consists of a lightweight aluminium frame with a zip-on printed fabric skin.